This month we sat down with Kim Laudenslager, an accomplished OSHA trainer and member of the Office Sterilization & Asepsis Procedures Research Foundation (OSAP). Laudenslager was named “2018 Consultant of the Year” by ProEdge Dental Water Labs for her dedication to her clients and her commitment to excellence in the field of dentistry. We had the privilege of interviewing Kim to learn from her expertise regarding her role in advocating for the importance of dental water safety. Kim, tell us how you got into INFECTION CONTROL CONSULTING? When I was younger, I loved math and science and I loved working with people. A friend of my mom's was a hygienist who loved her career in dentistry. When I was in high school, I went into my small town’s only dental office and said I wanted to be a dental hygienist and was interested in part-time work to gain experience. The dentist at this office - unbeknownst to me when I first walked in - was chair of pediatrics at Boston University and he became a great mentor of mine. So I fell into some really neat opportunities and it just kept rolling from there. After graduate school and settling down, I volunteered to chair the Quality Assurance Committee for the Dental Colorado Hygiene Association in 1984. I thought this position would be an easy entry-point for me to get more involved in the association and my profession. However, during this same time, infection control within the dental industry turned upside down. Almost overnight, wet-finger dentistry was a thing of the past and I was inundated with questions from lots of dental professionals asking for guidance with all the new infection control protocols. And that early start evolved into a business and where I am today. 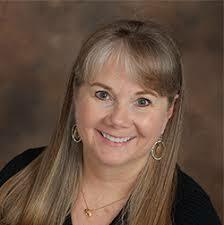 With all that expertise, what services do you offer dental offices and their professionals? I lead training seminars for dental professionals all over the country but concentrate on helping Colorado dental offices. I’m passionate about the topics I present and am practical in my advice. I try to make my seminars as interesting as possible and work hard to bring new and interesting information to folks every year. 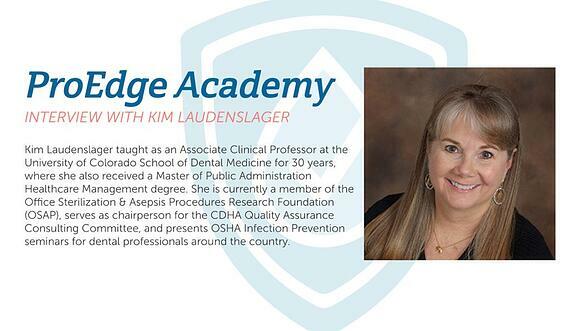 Kim Laudenslager taught as an Associate Clinical Professor at the University of Colorado School of Dental Medicine for 30 years, where she also received a Master of Public Administration Healthcare Management degree. She is currently a member of the Office Sterilization & Asepsis Procedures Research Foundation (OSAP), serves as chairperson for the CDHA Quality Assurance Consulting Committee, and presents OSHA Infection Prevention seminars for dental professionals around the country. How important is Dental waterline treatment & Testing to Your Training? I talk about the CDC (Centers for Disease Control and Prevention) guidelines and remind attendees that this is what we need to do to make sure we are not putting anybody in harm’s way. I often say, we are only being asked to provide drinking-quality water for our patients. It’s not rocket science, and it doesn’t take that much to be in compliance. It’s really rather easy. We are not being asked to do anything except put potable water into somebody’s mouth. We have seen time and time again that if you don’t treat your dental unit waterlines (DUWLs), chances are they will be grossly contaminated and that’s unacceptable and irresponsible. We are held to a standard and have to practice up to that standard of care. I’m not even talking about exceptional care, just about the minimum standard of care. What waterline Maintenance recommendations do you have for dental offices? People like rules they can follow. With regard to how often testing is required, the CDC guidelines say to “follow the manufacturer’s instructions”. Unfortunately many manufacturer’s instructions are unclear and ambiguous. They use words like “test your DUWL’s on a regular basis”. For those that like black and white rules, that’s not definitive enough. Some manufacturers do recommend quarterly testing but for those that use the word ‘regularly,’ it leaves lots of room for interpretation. So that’s where I have decided to take a stance and I say that at a minimum you must test once a year. Again, it’s not in the CDC guidelines that you have to test once a year but I don’t know of any DUWL manufacturer that would suggest ‘regular’ means anything less than once a year. How should dental professionals approach dental water testing in light of the recent outbreaks and California's new legislation? Offices need to understand the serious nature of waterline maintenance and more importantly, the need to make patient safety a priority. It’s not just a matter of testing your water to check the box that you’ve done it. It’s a matter of testing to make sure you’re providing safe water to your patients. It’s simply the right thing to do. Understand what you're doing, why you're doing it, and the importance of it. Where do You send Practices looking to Test? I have a resource sheet with the names of several companies that provide DUWL testing and ProEdge Dental Water Labs is on the list. I never know who folks are going to test with but do get lots of great feedback from offices that have tested with ProEdge. And when I have someone call me with questions about their DUWLs, I often call ProEdge for answers or refer the office directly to ProEdge for help. Being able to rely on ProEdge’s expertise has been very valuable. I appreciate ProEdge recognizing me with an award, but honestly, it should be me giving them an award. So let me turn this around and say “Kudos” because ProEdge is doing a great service for us in the dental community.